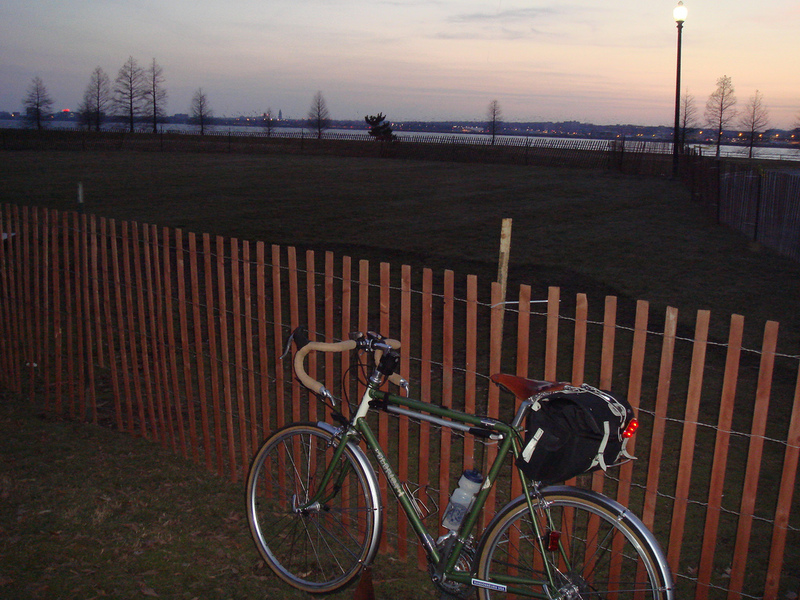 The randonneur commuter is always looking for extra miles here and there during the week, and MG and I are have put in countless laps on Hains Point, bordered by the Potomac River and Boundary Channel and home to flowering cherry trees in early April. It’s a playground where all of Washington comes together. One of the highlights of the 3-mile lap around the point was The Awakening, the massive sculpture by J. Seward Johnson depicting a giant struggling to free himself from the earth. 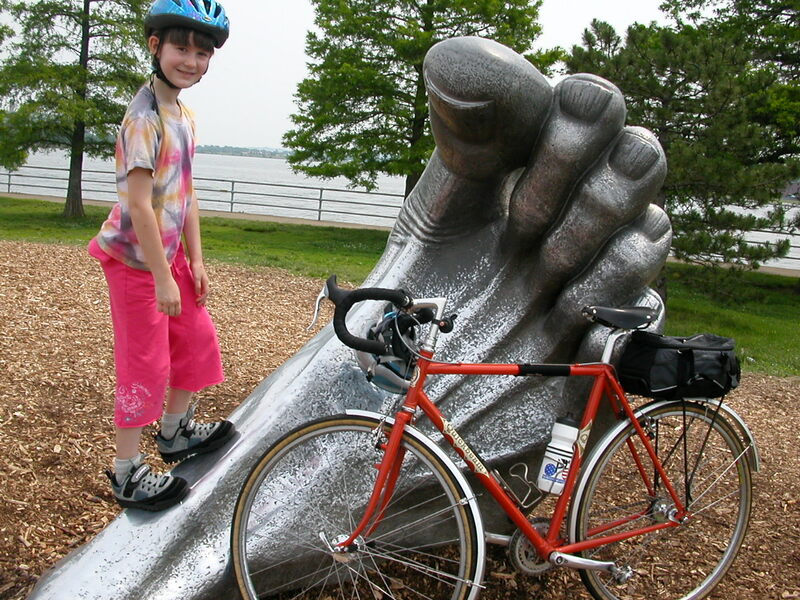 It was a magnet for kids, who loved to play on the massive feet, legs and hands. Last week the privately owned sculpture was moved to the new National Harbor development down river in Prince George’s County. The Washington Post has a blog post Here. Now we’re left with a blank space. That’s not all bad in Washington, where empty space attracts a memorial of some kind. But this was just pure sculpture for the sake of art, not to commemorate anything. We’ll miss it.